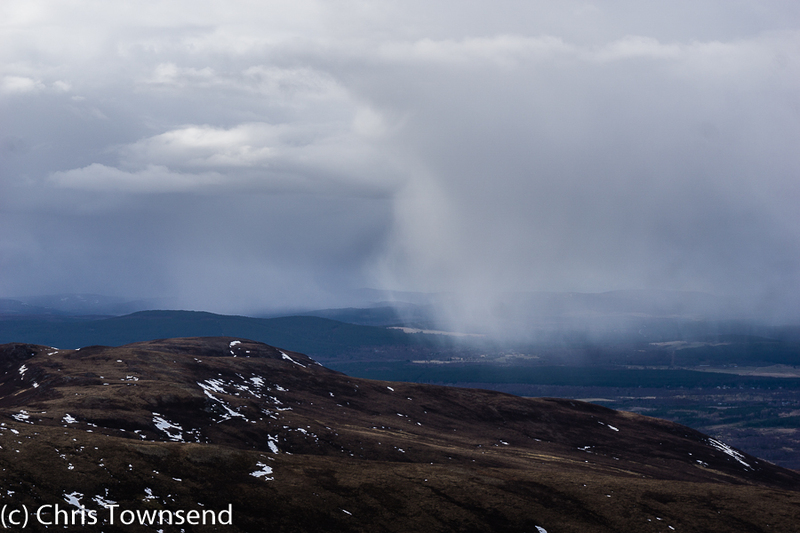 A blustery day, showers of hail and snow, racing clouds. The High Cairngorms in cloud. 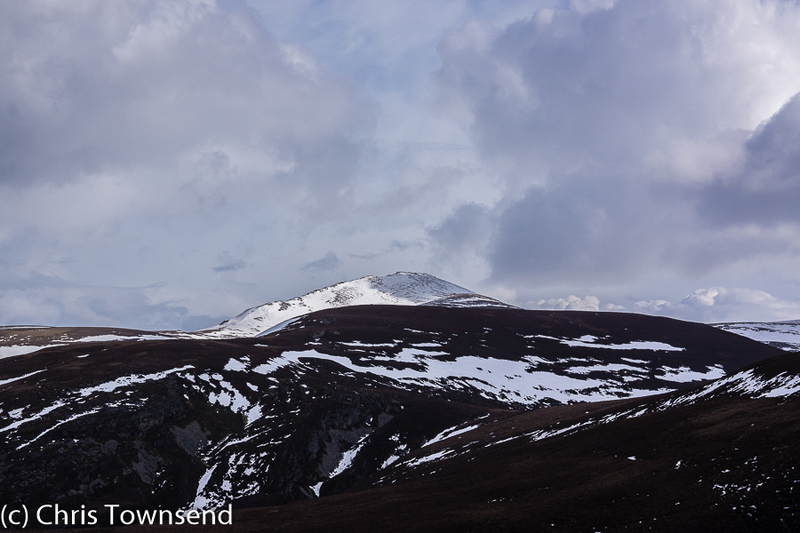 A walk through Ryvoan Pass and over Meall a’Bhuachaille seemed a good choice in these conditions. It would be the first time this year for this favourite walk. The woods were silent, the pines dark, the birches and willows still bare. Only traces of snow but no signs of spring yet. Lochan Uaine was blue-green, a breeze rippling the water. A couple of walkers asked me to take their photograph. One of them was laden with two cameras with big lenses but I was handed a smartphone. Picture taken I looked over the lochan. A mallard drake was swimming rapidly towards the bank. I’ve rarely seen any water birds here so I noted this with interest. The duck looked very determined. We were on a viewing platform atop a steep bank. 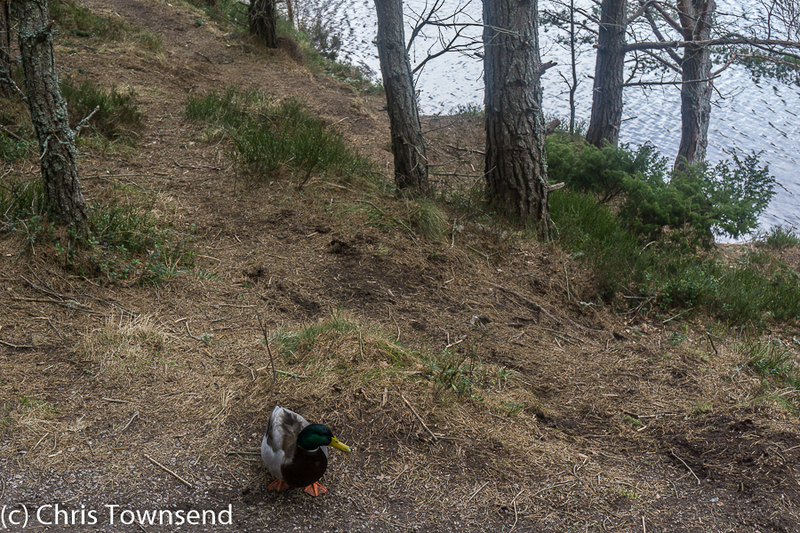 The duck raced up the slope – I didn’t know they could climb so fast – and stopped at our feet, clearly hoping to be fed. The two walkers threw him some scraps of food, which were quickly gobbled up. I wondered if other mallards would soon learn they could find food here. On big Loch Morlich not far away there’s a flock that’s fed regularly by visitors. 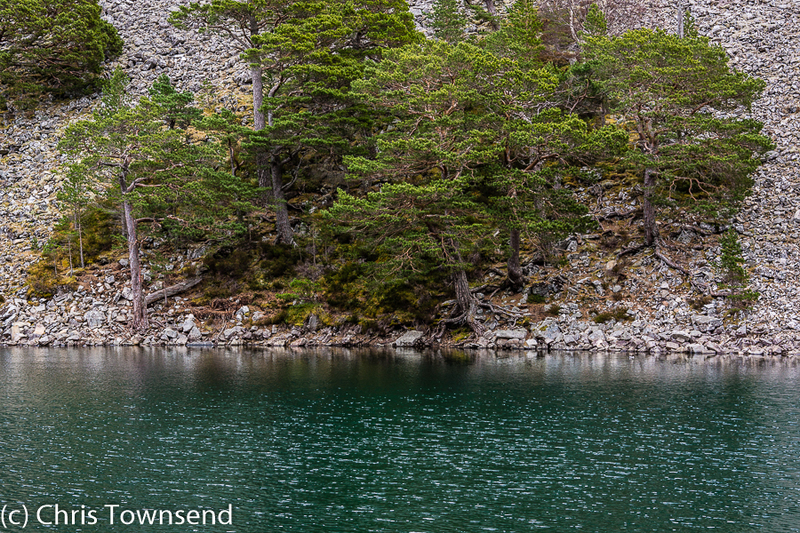 A splashing across the lochan had me wandering down through the pines to see what it was. A pair of goldeneye ducks chasing each other close to the far shore. I’d never seen these here before either. 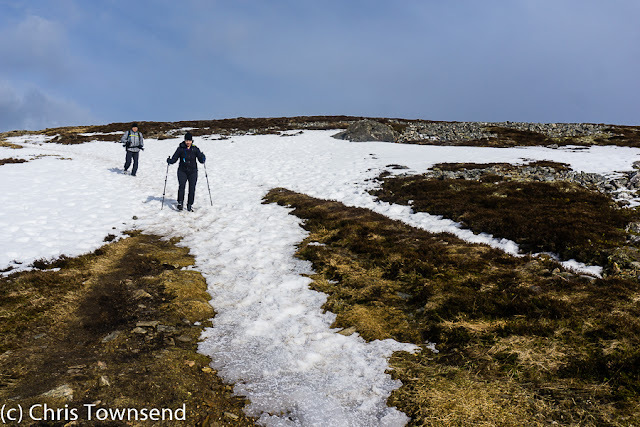 I watched awhile before heading on out of the trees to Ryvoan Bothy where I stopped to remove a layer before starting the steeper climb up Meall a’Bhuachaille. My two duck-feeding companions arrived. One pointed on down the path to Abernethy Forest. ‘That’s the path that’ll take us back to the car park?’ I ascertained he meant the car park at the Glenmore Visitor Centre, back the way we’d all come. He did. ‘That path takes you miles away, with a long walk back or a taxi ride’, I explained. He looked nonplussed. ‘We were told there’s another path back to the car park’. ‘You could go over Meall a’Bhuachaille’. I pointed upwards. A confused look. I showed them on the map. I’m not sure it meant anything. They said they had a map but didn’t look at it. Could they come over Meall a’Bhuachaille with me? They were well-equipped so why not, I thought. ‘We’re fine on the uphills but not so good downhill’. I assured them the descent was easy. The sky changed constantly as we climbed to the summit. Squalls swept across the hills. Shafts of sunshine lit up summits briefly only to be snuffed out by rushing clouds. As we neared the top the edge of a dark storm caught us, bringing hail and light snow. By the time the summit cairn was reached the skies were clearing again and we had splendid views over Glenmore to Loch Morlich and the snowy Cairngorms. I was pleased that my companions – a Canadian couple from Montreal – could see this. Pointing at Loch Morlich one asked if that was Lochan Uaine. I began to suspect they really hadn’t got their bearings. On the descent to the col with Creagan Gorm there were patches of soft snow to cross. As they’d intimated my companions were slow. At the paths junction at the col they again weren’t certain which was the right way. Down to the trees. I pointed. There were track junctions in the trees too so I stayed with them all the way back to the car park, telling them a little about the area and its history. I enjoyed the company. I hope they did. They were off to Skye next. I hope they don’t get lost.